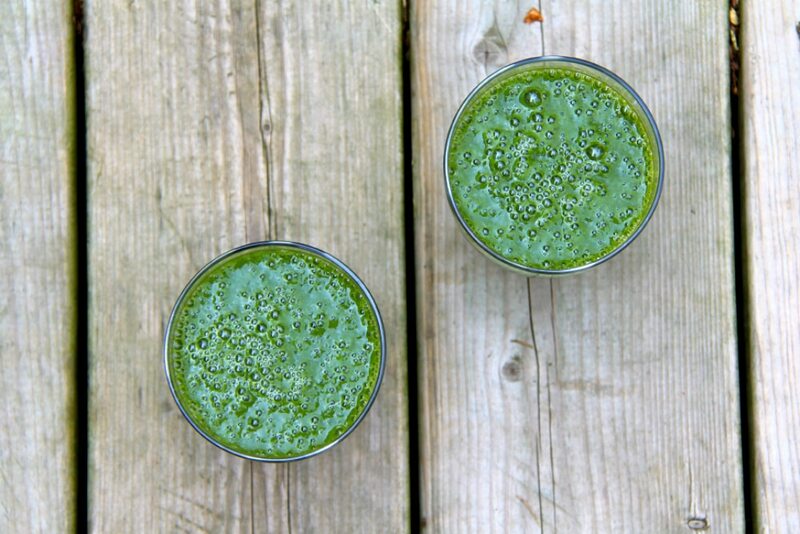 There’s nothing like a foamy green moustache from a velvety smooth green smoothie, right? Seriously, I’m not crazy and if you’re reading this, chances are you probably feel the same and want even more delicious easy green smoothie recipes to add into your arsenal. Welcome, my green smoothie loving friend. Welcome. The 11 green smoothie recipes I’m about to share with you have all been tested and proven in my own kitchen. They’ve even passed the ultimate taste test – my kids! So without any further ado, get your blender ready and let’s jump in. Oh, one more thing – you won’t find any calorie counts for these recipes because I don’t believe in that nonsense. When you’re eating real foods, the quantity becomes less important. So drink up…without the guilt. I’m kicking things off with my favorite green smoothie of all time. I made this smoothie for a bunch of friends a little while ago and they were blown away. See the video below for proof. Needless to say, this is a great green smoothie recipe for those who think greens taste like grass. Blend everything in blender until smooth. Simple and quick to make. You can use my Energy Greens (or another greens powder) if you have it. If not, use spinach for your greens. 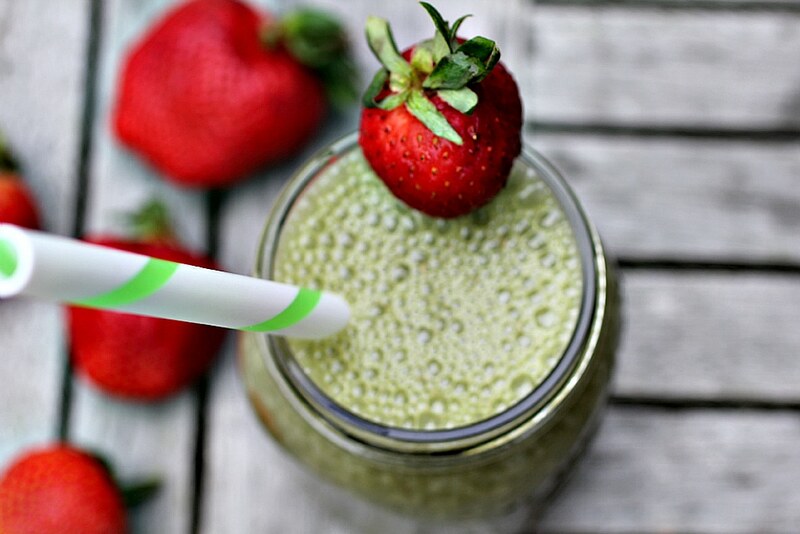 This simple green smoothie recipe is a great post-workout option. If you’re not using my Energy Greens, throw in some spinach or Swiss chard instead. Picture yourself lying in hammock on a hot and humid summer’s day. Now, if only you had a refreshing drink. And then it appears! 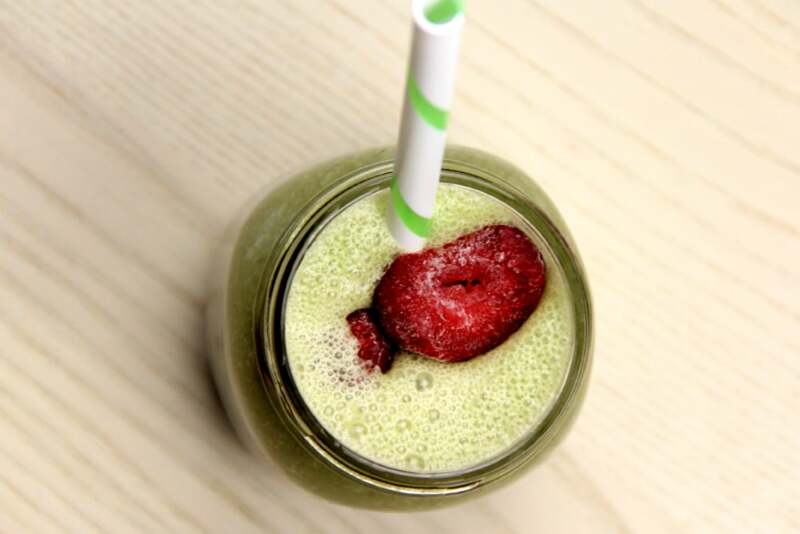 Your server brings you this green smoothie and it feels like you just dove into your revitalizing cold pool. Ok, confession time. I love a good pina colada. At least this one is alcohol-free and is actually really good for you. Perfect substitute if you want to impress your guests during a festive party. 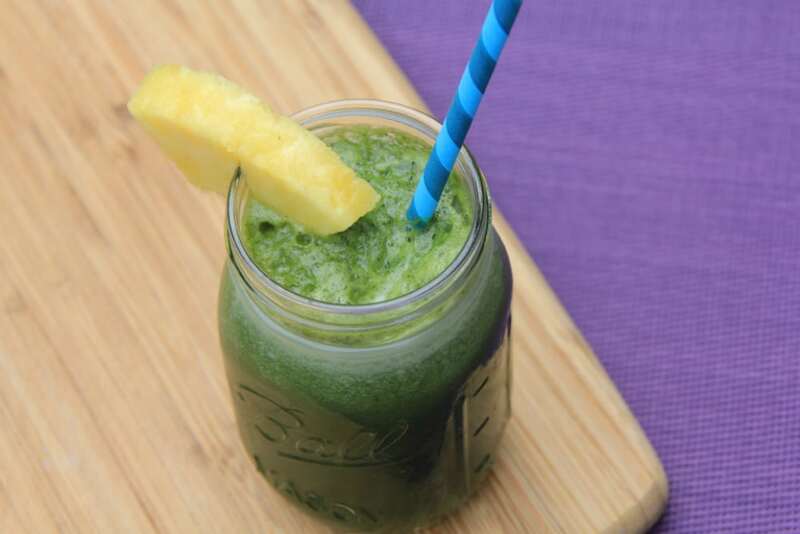 This is one of the sneaky green smoothie recipes that fools my kids every time. 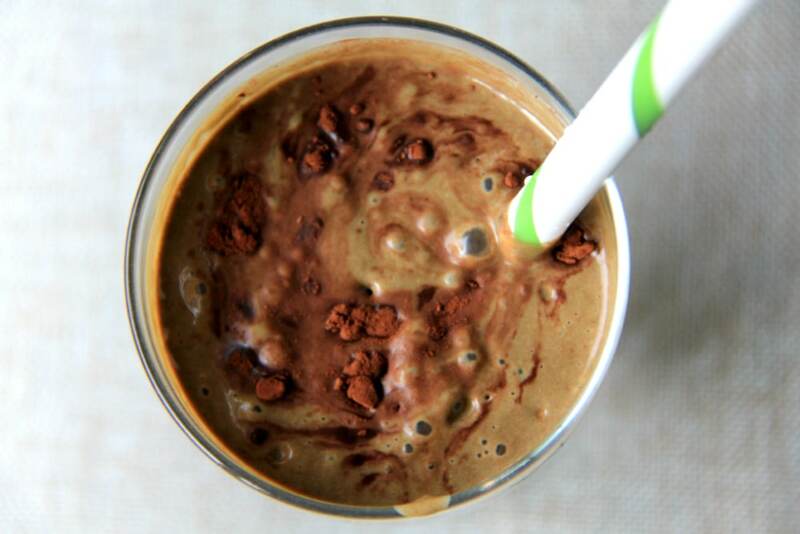 Because it looks like a chocolate milkshake they don’t suspect there’s anything green inside. If they only knew. Muah 🙂 If you’ve got kids who refuse to eat or drink their greens, give this one a shot. The name says it all. It’s damn good. 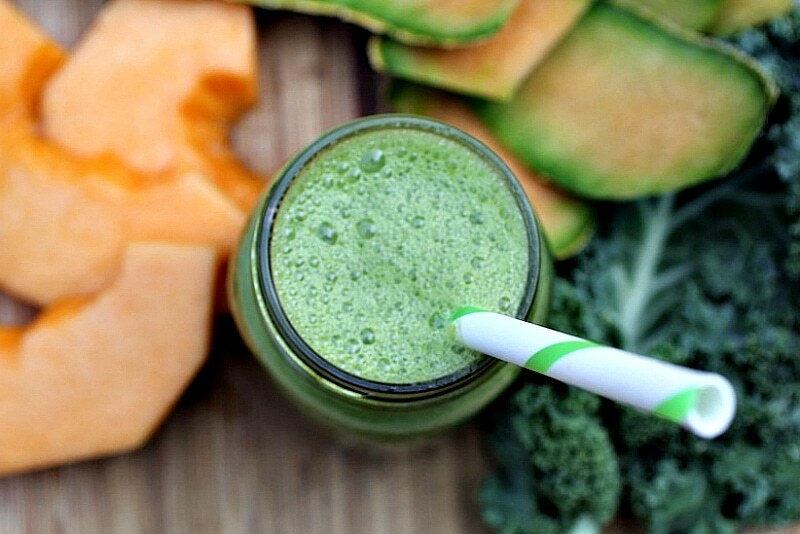 Yet another one of those sneaky green smoothie recipes that kids will never suspect. 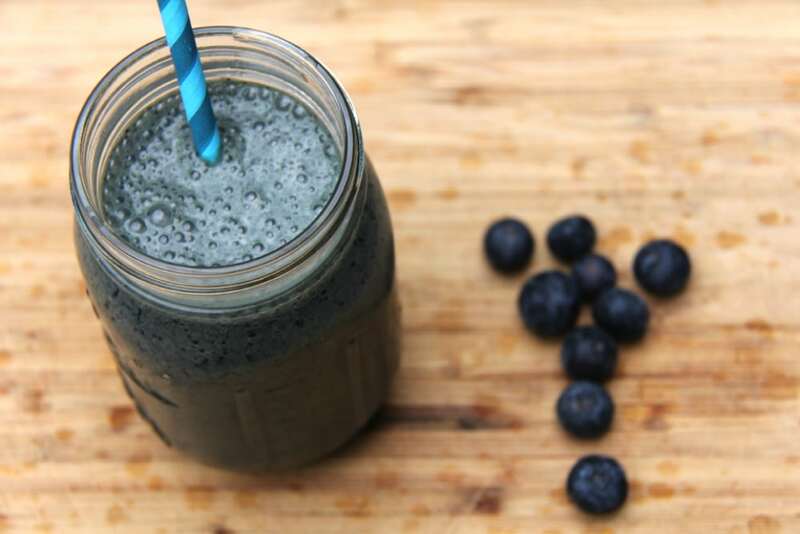 This one tastes like a blueberry shake with a hint of cinnamon and vanilla (from the Energy Greens). Another sweet treat that is perfect for after a workout or on a warm day when you just want something cool and refreshing that will tie you over for hours. I saved my second favorite green smoothie recipe for last. 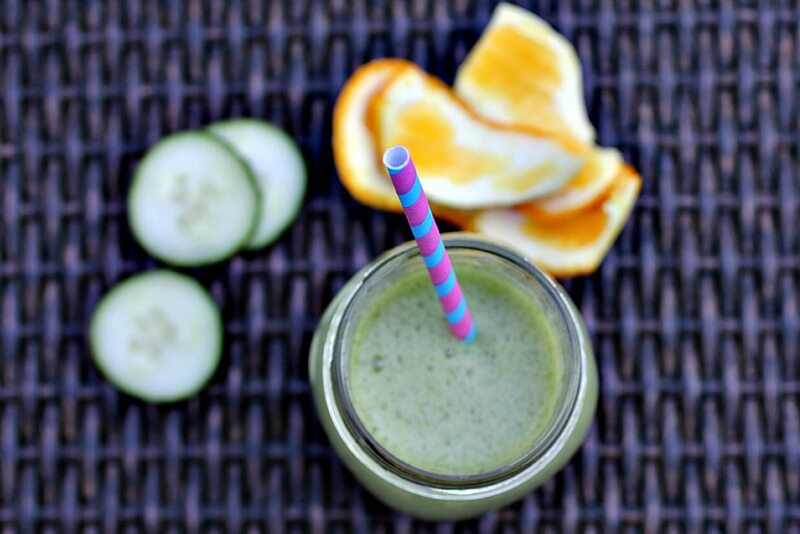 This is delicious, refreshing, and a perfect smoothie to have on a low calorie day following a day of heavy eating. If, after looking at these smoothies you’re wondering whether you should be “scared” of their fruit (dare I say sugar) content, then let me re-assure you that there’s nothing to worry about. First, these smoothies contain the whole food, which means you’re getting all of the fiber, which naturally slows the absorption of both glucose and fructose into the body. 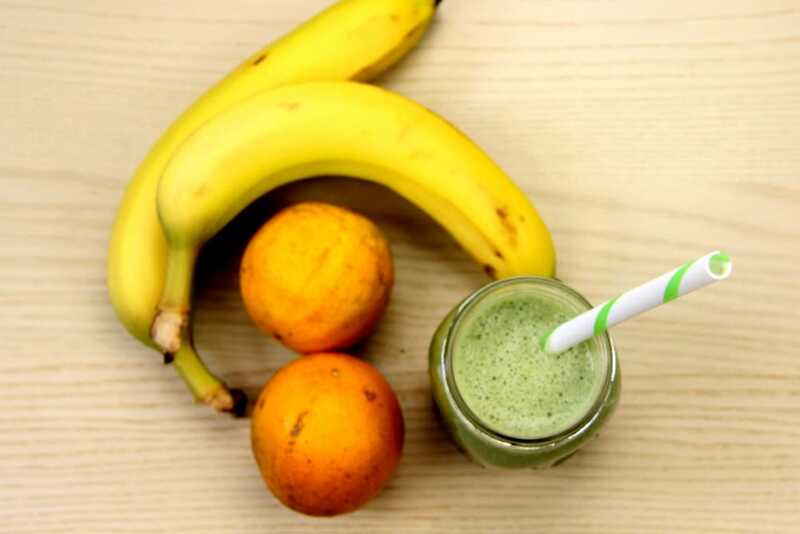 If you were drinking a fruit juice it would be a different story (since there’s no fiber) but here you’re ok.
There’s really no wrong time to drink a green smoothie, but I like recommending you drink it in the morning. Doing so, starts your day on the right foot and sends a surge of liquid nutrition into your body that will keep you energized for hours. 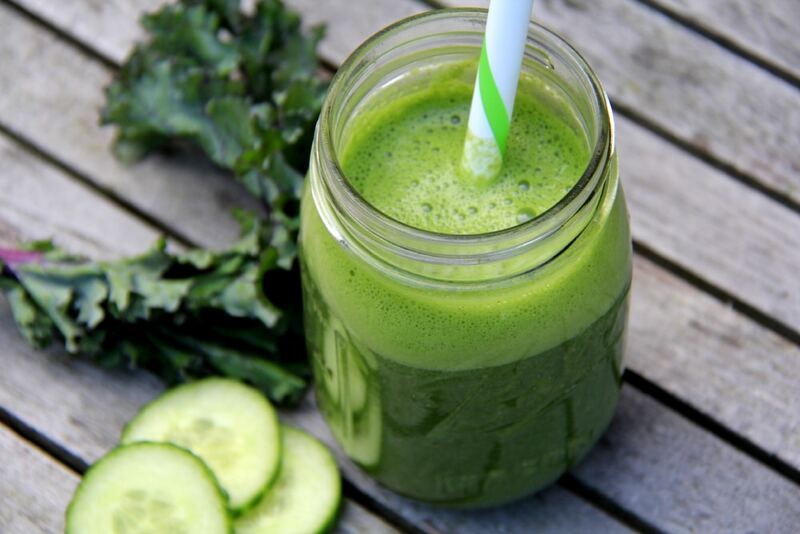 And, as I mentioned in a number of recipes on this page, the green smoothies that are a little sweeter (higher in sugar) are perfect post-workout smoothies. 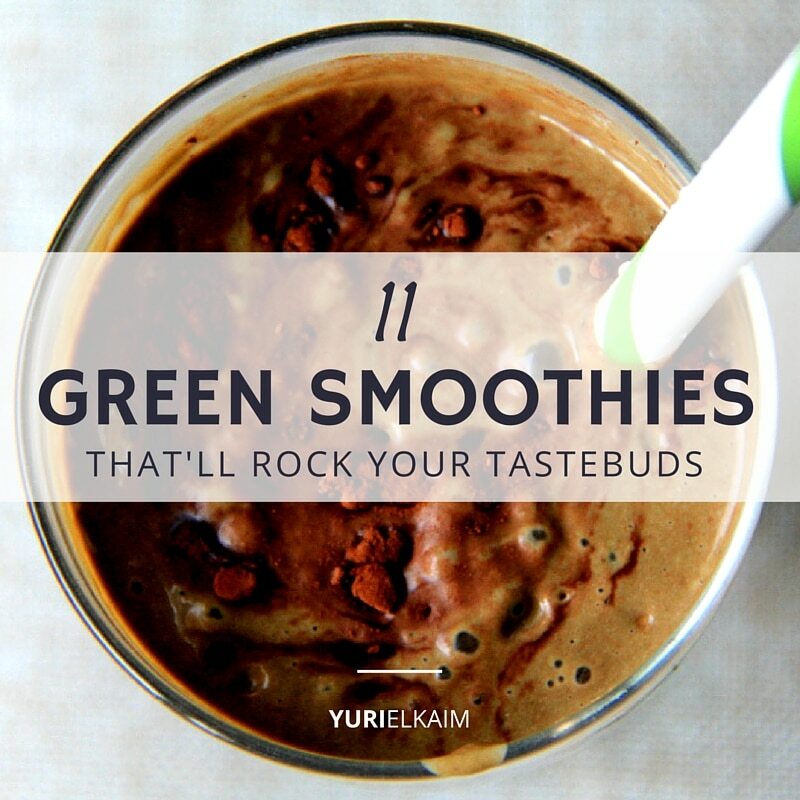 Did you enjoy these Green Smoothie Recipes? 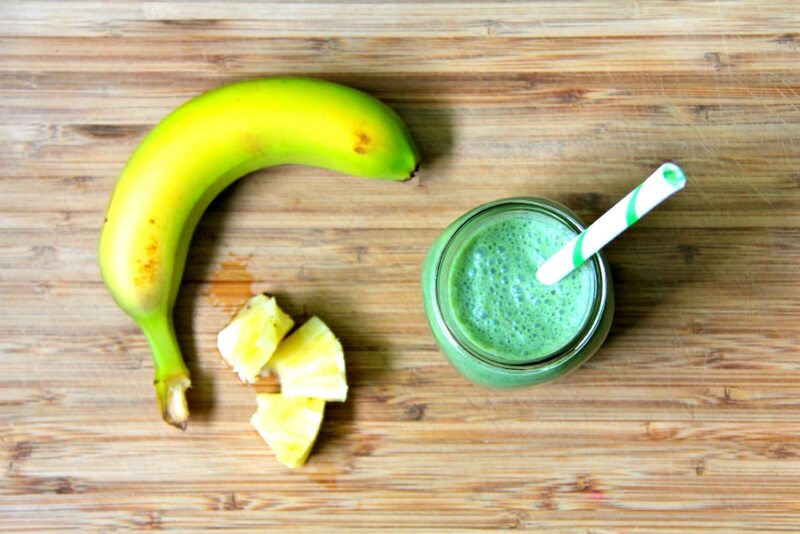 You might also like my FREE printable on How to Make the Perfect Green Smoothie. To get it, just click on the banner below.